Although many areas of North Carolina and South Carolina have moderate temperatures year-round, some families in our service area deal with harsh winters and vigorously embrace warmer weather when it arrives every year. Even if you live in a temperate climate, though, the arrival of spring is always welcome. With it comes longer days, more sunlight, and the promise of the long, languid summer ahead. Many homeowners find themselves motivated to make changes to their houses in the spring. After the winter months, it can feel good to get started on remodeling projects you’ve wanted to do. As you read this guide, you will see some ideas that will help you boost your home’s curb appeal for spring. Hopefully, these suggestions will inspire you! The entry door is one of the first things people see when they look at your house. It’s also a natural feature to redecorate without spending a lot of money, which is a win-win for you as a homeowner. Painting your front door a fresh hue, like bright yellow or leafy green, is a great way to get your home prepped for spring. You can also add a fun door decoration, like a bright wreath or even a few vintage gardening tools tied together. Few things say “Spring is here!” like colorful flowers planted in your yard. The best way to make sure your new plants have the most possible impact is to put them along your property, in front of any fencing you may have. This way, they’ll be visible to both passersby and you when you return home each day. If you aren’t sure what kinds of plants are most likely to thrive in your area of the Carolinas, visit a flower shop and speak to an employee or contact a landscape designer who offers hourly consultations. Sometimes, especially after you’ve lived in the same house for quite a few years, you can assume your house number is clearly visible when it may actually be hidden by plants, outdoor furniture, or other items. Step into the street to make sure you can easily see your house number and, if you can’t, move it to a new location or purchase a new, larger set of numbers. Any lawn space and mulched areas of your yard should have extra care in the spring. They can take a beating during wintertime, even in relatively warm regions. If you aren’t sure you can manage your yard on your own, consider contacting a lawn maintenance service to assist you. 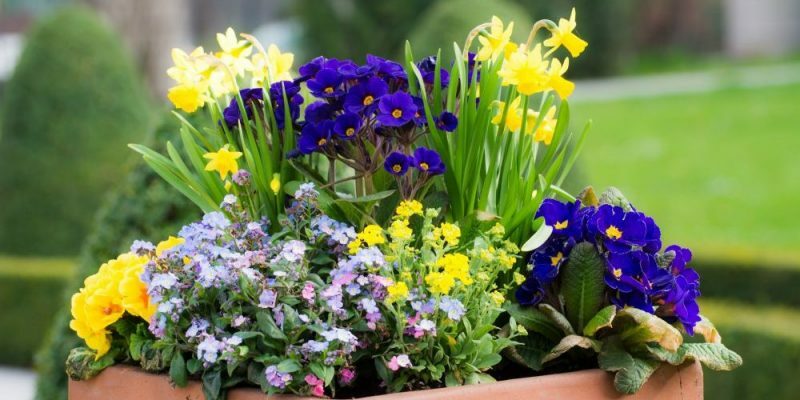 These are just a few suggestions for how to spruce-up your home’s curb appeal when spring arrives. There are, of course, many other tasks you can tackle as well. If you are thinking about doing any serious remodeling or landscaping, we sincerely hope you’ll give the team at Hatch Homes a chance to meet with you and give you a quote. We have a long list of satisfied clients throughout the Carolinas, and we would love to work with you and your family too!